One winter night in December 1997, my boyfriend and I were coming home from a holiday celebration. As we were driving down a particularly dark street in Brooklyn (where he lived), we were pulled over by the cops. We weren’t worried. It’s not like we were speeding or anything. When the officer approached the car, BEFORE asking for license and registration, he requested that we vacate the vehicle. Did I mention this was New York in winter time and my coat was in the trunk? My boyfriend complied, but I refused. B. I knew that our rights were being violated and wasn’t having it. We argued for a bit, I politely reminded him of the above…not driving, rights being violated, was scantily clad and coat was in the trunk. I didn’t see the reasoning behind his insistence and finally he complied. We were very lucky that night. We weren’t abused, tortured or ticketed and he let us go. On December 6th, I participated with hundreds in a peaceful protest from The W Hotel in Hollywood to the Chinese Theatre. Ironically enough, another black life was snuffed out just the night before. A young black man was shot in the head at the corner of Hollywood and Highland. Marching with friends, I became very emotional as recent events crossed my mind. Mike Brown, Trayvon Martin, Oscar Grant and all those who came before me and had to endure injustice for reasons that make no sense to me and thousands of other Americans. Selma documents the events leading up to that moment by use of FBI files kept on Dr. King and his followers right down to the date, time and recorded conversations. Many directors have been attached to this project in the past, but Selma was meant to be directed NOW and with Ava DuVernay at the helm. 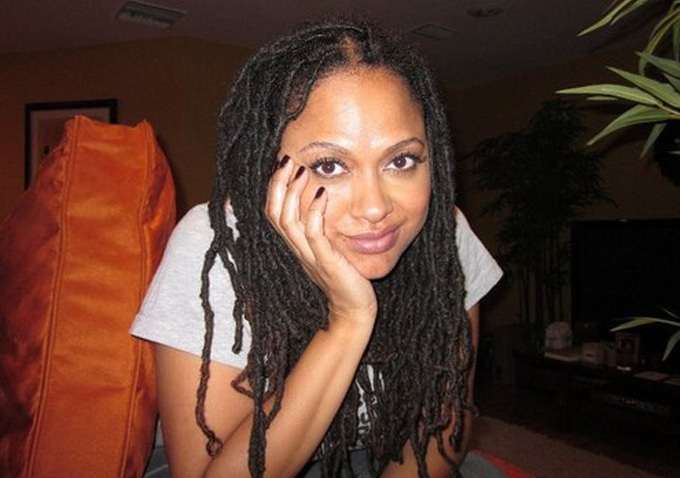 Director Ava DuVernay blazed onto the scene a few years ago winning the Excellence in Directing award at Sundance for her feature Middle of Nowhere. Now, DuVernay is an easy front-runner to possibly becoming the 2nd woman to ever win Oscar and the first African-American ever! Produced by Brad Pitt’s Plan B and Oprah’s Harpo Productions, Selma is shockingly realistic in its relocation of these events. Particularly the crosses over the bridge and the day the “4 Little Girls” are bombed to death in their own place of worship. David Oyelowo and Carmen Ejogo (Martin and Coretta King) are brilliant and Ejogo (I’m my opinion) is the first actress to actually capture the essence of the late Coretta Scott King. I’m sure all of the aforementioned will be honored for their hard work. I’m actually looking forward to watching Ava Duvernay pick up lots of gold this awards season…which I thought was going to go down a few years ago with Middle of Nowhere. Selma has been trying to hit theatres for years. It had several roadblocks, but RIGHT NOW was the perfect time for this film to come to fruition given the racial climate in America. Selma opens in ALL theaters TODAY, January 9th. Don’t miss it…tell your friends…you’ll thank me…I promise! The Curvy Film Critic The Curvy Film Critic Suggests New Releases and Classics Happy Birthday Dr. King!